It's not easy to talk to a professional and discuss your child's OCD. The little changes in your child's behavior send a warning sign that something is amiss. Though you may be sure that there is something wrong, it's difficult to find the solution for you and your child. If you notice your son or daughter is behaving differently than other kids and you suspect that they may have OCD, the first thing to do is to learn more about OCD and how it typically presents in children. That way you'll know the type of specialist who can help them. ~ What is Obsessive Compulsive Disorder? OCD is a type of anxiety disorder that is composed of two main parts: obsessions and compulsions. In order for a person to be diagnosed with OCD, they must present with these two sets of symptoms. The obsessions and compulsions must also take a considerable amount of time, cause distress to the person, and interfere with their daily functioning. People with OCD know that the thoughts and mental images are produced by their own mind, but they have no control over them and anxiety and fear come with these intrusive thoughts. So, although they are aware that the threat is all in their heads, they can't help but make repetitive actions or compulsions to prevent the threat from happening. OCD is a type of anxiety disorder that is composed of two main parts: obsessions and compulsions. In order for a person to be diagnosed with OCD, they must present with these two sets of symptoms. The obsessions and compulsions must also take a considerable amount of time, cause distress to the person, and interfere with their daily functioning. People with OCD know that the thoughts and mental images are produced by their own mind, but they have no control over them and anxiety and fear come with these intrusive thoughts. So, although they are aware that the threat is all in their heads, they can't help but make repetitive actions or compulsions to prevent the threat from happening. OCD usually starts before the age of 18 but it can also present in much younger children such as 3 or 4 year of age. Obsessive Compulsive Disorder in kids is associated with high rates of co-occurring disorders, which could include but is not limited to; developmental disorders, tic, separation anxiety, and major depressive disorder. The fears and anxiety of a person with OCD can be about almost anything. The most common form of OCD is contamination –the fear of being dirty, getting germs through contact and contracting diseases. In other cases, the person may have unending doubts; sexual or violent thoughts; religious thoughts; hoarding; bodily obsessions; and worries about evenness, symmetry, and perfection. ~ Does my child have OCD? Not all children with repetitive behavior have OCD. It's normal for young kids, age 1.5 – 3 years old, to exhibit repetitive or ritualistic behavior. As we all know, repetition is an effective tool in learning and kids at this age often repeat new words, physical movements, and facial expressions. If your child has a developmental delay or intellectual disabilities, this period may take longer. Children at the early onset of OCD may dismiss their obsessions and ignore other symptoms that bother them. Some may act out their obsessions more quickly, thinking it will help them cope with it. Make sure to give your child regular reassurance during this period. Kids with OCD may have trouble socializing with other children. Some of them may focus so heavily on hiding their OCD from other people that they fail to foster healthy bonds with their peers. The obsessions and compulsions of school-age kids are often about school work. They are likely to turn in incomplete work due to a tendency to obsess over making their work perfect or “just right.” They worry about what other people think of them, especially their teachers and their peers – and that their schoolwork is always not good enough. It’s common for people with OCD and other anxiety disorders to feel extreme shame and embarrassment. Even young kids can fall victim to these unwanted feelings. Children with OCD quickly realize that they are different from other kids and that their obsessions and compulsions are not normal. Because other children around them might be too young to understand their disorder, they can be bullied or harassed. Children with OCD can also learn at a young age that their parents and siblings don’t have the same obsessions or compulsions, thus causing worry about what their family members think of them, which adds to the confusion and shame they are feeling. Many clients seek therapy and instantly feel relieved just by knowing that there is someone out there who understands them without judgment. The feelings of shame and embarrassment are best dealt with the help of a therapist. They will also provide extensive information about OCD, for you to more fully understand your child’s disorder. More importantly, they will be taught how to build coping skills for unexpected social situations that might arise. That’s why finding a therapist who is professionally trained to handle childhood OCD cases is important. Some therapists may only have a general knowledge of OCD and may not be suited to treat moderate to severe cases of OCD. 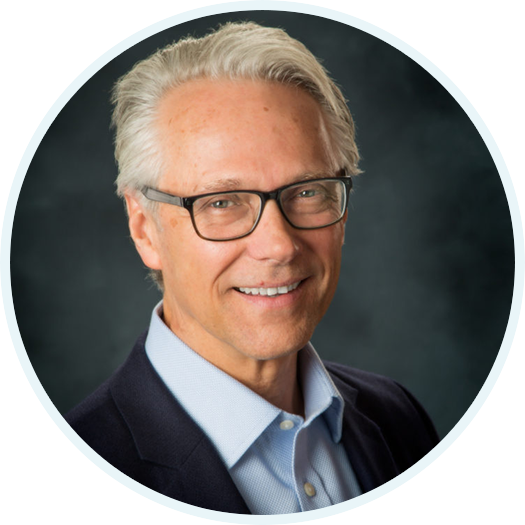 Dr Hank specializes in the treatment of OCD and has many years of experience in Exposure and Response Prevention Therapy (EX/RP). A mental professional who is trained in handling EX/RP will help you understand your child’s symptoms. They will also address their thoughts, emotions, behavior and explain to you the reasons behind these compulsions. By understanding all of these, your child will also learn how to deal with anxiety, reduce compulsions and develop skills to improve their way of life. Although mental health disorders can be challenging, your child doesn't need to suffer in silence. You can help them be successful and lead a happy and fulfilling life with the help of mental health professionals. Our program is focused on addressing the social and educational challenges of having OCD. It is common to see alleviation of symptoms from time to time, but you should know that OCD can worsen if left untreated. Early treatment is advisable to reduce the negative effect of the disorder to your child's future and to prevent concurrent disorders.